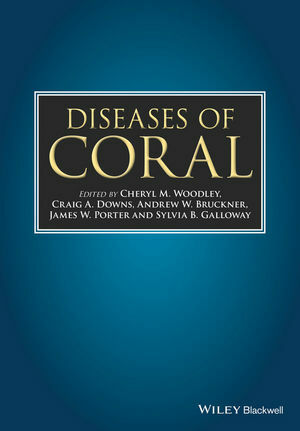 Coral disease is quickly becoming a crisis to the health and management of the world’s coral reefs. There is a great interest from many in preserving coral reefs. Unfortunately, the field of epizootiology is disorganized and lacks a standard vocabulary, methods, and diagnostic techniques, and tropical marine scientists are poorly trained in wildlife pathology, veterinary medicine, and epidemiology. Diseases of Coral will help to rectify this situation. James Porter is Professor of Ecology and Marine Sciences at the Institute of Ecology at the University of Georgia. Cheryl Woodley is the Chair of the Coral Disease and Health Consortium for the National Oceanic and Atmospheric Administration.